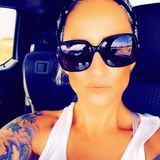 Want to connect with Bobbi? Nice to meet you! My name is Bobbi. I am living in Pecos, enjoy kitchen cleaning and have many years of experience as a home cleaner. I look forward to hearing from you!